Our ice cream consumption typically goes up in the summer, but to account for this, our consumption of salads also goes up. I love a good salad any time of year, but it’s particularly satisfying in the months of June, July, and August, when we’re craving fresh meals that don’t heat up the kitchen and taste best eaten at dusk on our back patio. This salad is all of those things—it does require a fair bit of chopping, but each of the elements come together quickly. As simple as it is, it’s the perfect thing to serve dinner guests. You can’t beat the rainbow beauty here and paired with grilled flatbread or even some cheese and crackers, it’s just the thing to hit the spot…before the ice cream of course! Like I often suggest, make this salad your own. Feel free to include strawberries, or pistachios, or bacon! That being said, I probably won’t change a thing next time I make this! 1. 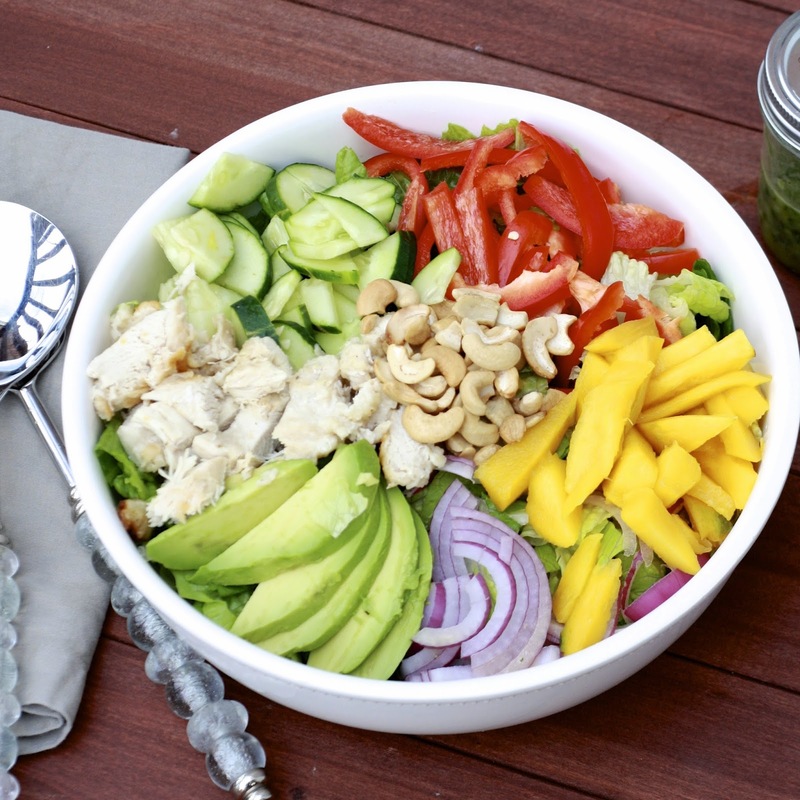 In a large bowl, add the romaine. 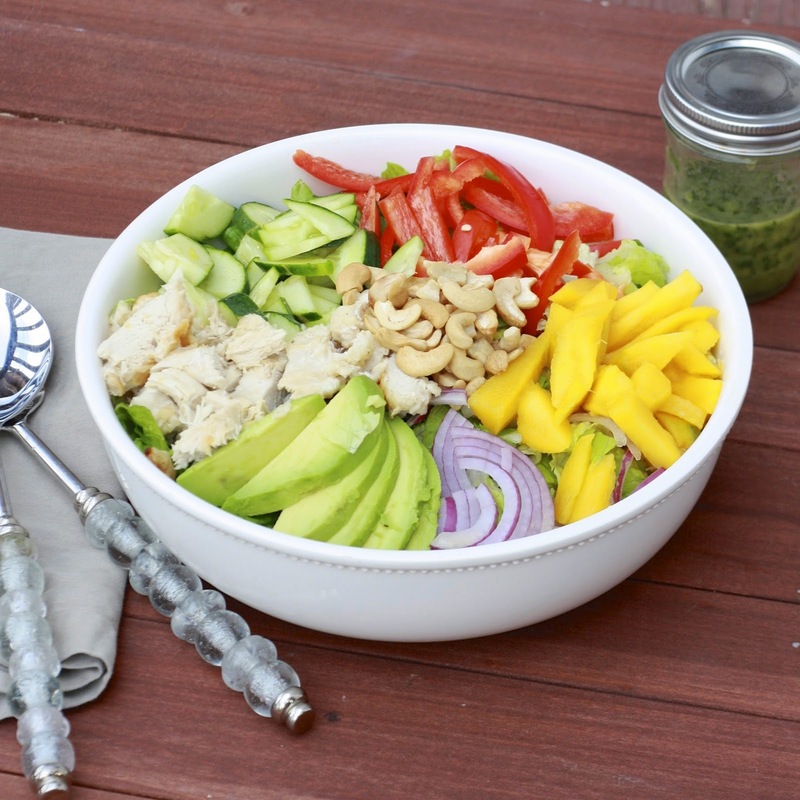 Top with chicken, red bell pepper, mango slices, cucumber slices, red onion slices, avocado slices, and cashews. 2. 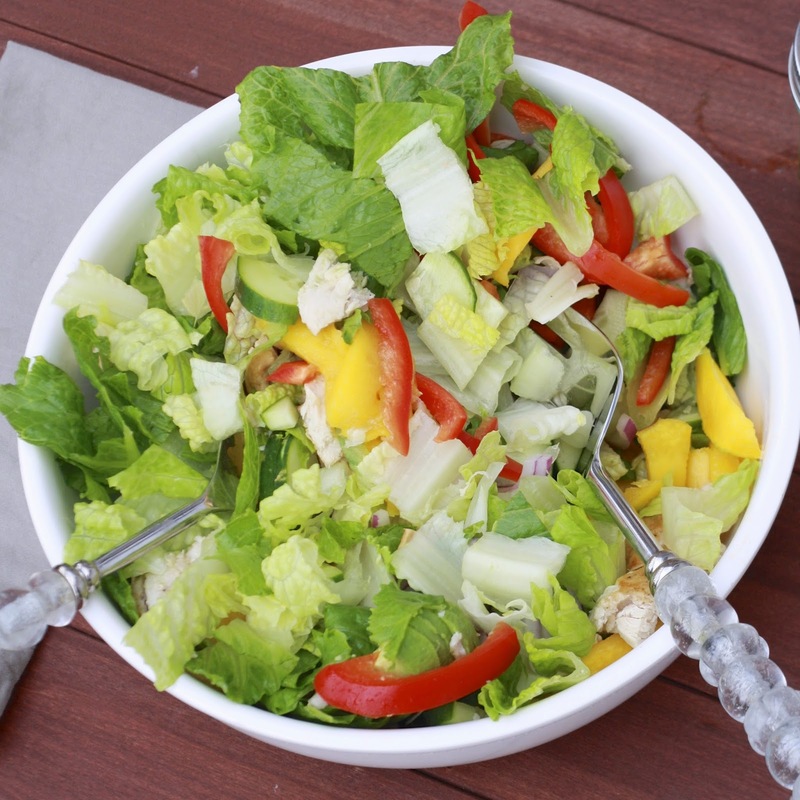 In a blender or food processor, add the vinaigrette ingredients and process until combined. Season vinaigrette to taste with salt. 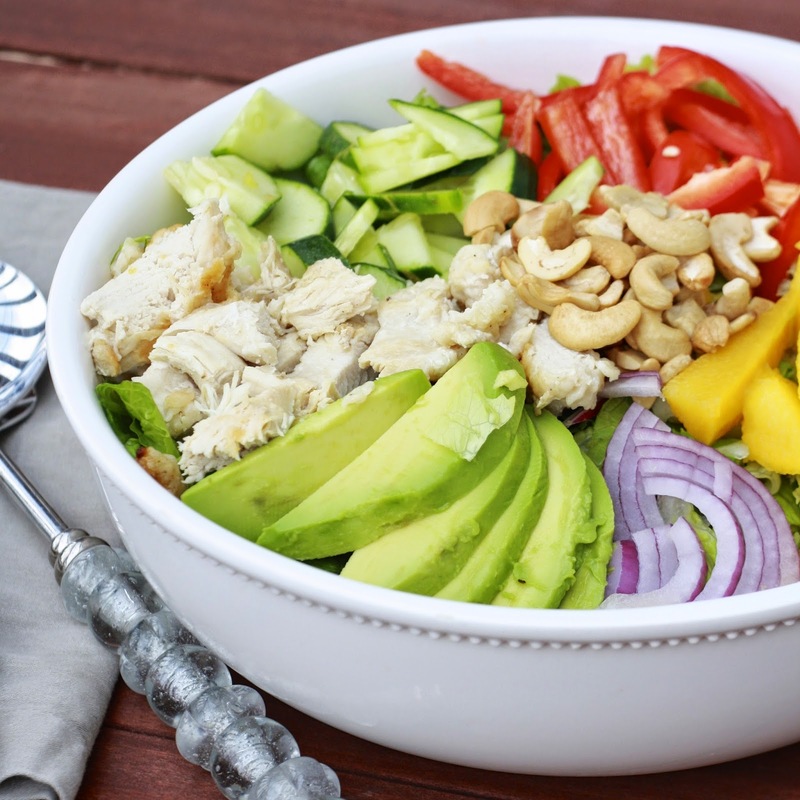 Toss salad with vinaigrette and serve immediately.